Republican congressional candidate Scott Sturgill, Republican gubernatorial candidate Ron DeSantis, and Republican Attorney General candidate Ashley Moody all came out on top in a straw poll conducted Thursday night at a Sanford Chamber of Commerce political hobnob. 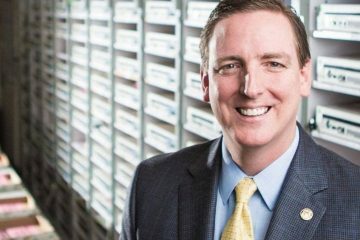 The victory for Sturgill, a Sanford businessman, continues his streak of straw poll wins in Seminole County in what has been a bruising overall battle for the Aug. 28 Republican primary for Florida’s 7th Congressional District against Winter Park-based state Rep. Mike Miller, who has been winning most such polls in the Orange County side of the district. The Aug. 28 primary for that CD 7 race will have about 58,000 eligible Republican voters in Orange and 110,000 in Seminole. There were more than 340 votes cast in the most popular races surveyed Thursday night at the chamber’s “Last Hoorah Sanford HobNob.” In that, Miller finished a distant third in the CD 7 question. Sturgill was selected as the favorite by 43 percent of the attendees, incumbent Democratic U.S. Rep. Stephanie Murphy by 33 percent; and Miller, 20 percent. Murphy’s challenger from the left in the Democratic primary, Chardo Richardson, grabbed 4 percent, while a third Republican, Vennia Francois didn’t even claim 1 percent, as she got three votes out of 342 cast in that question. 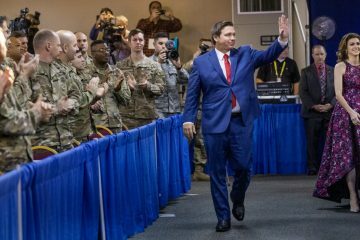 The straw poll marked a rare victory for U.S. Rep. DeSantis in Central Florida hobnob straw polls, though he has been dominating statewide Republican voter polls for the past month. 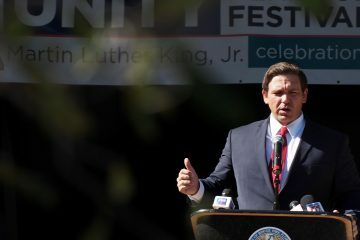 DeSantis grabbed 28 percent of the Sanford chamber markers, to 23 percent for his Republican primary rival Florida Agriculture Commissioner Adam Putnam. In that survey, Tallahassee Mayor Andrew Gillum was the highest-standing Democrat in the Governor’s field, taking 17 percent; while former U.S. Rep. Gwen Graham got 13 percent; former Miami Beach Mayor Philip Levine and Palm Beach businessman Jeff Greene each picked up 4 percent; and Winter Park businessman Chris King got 2 percent. Moody, the former judge from Tampa, continued her dominance of Central Florida hobnob straw polls, leading the Attorney General question by drawing 42 percent of the markers. Her Republican primary opponent state Rep. Frank White of Pensacola finished third. Democratic Attorney General frontrunner Sean Shaw took 25 percent, and White 20 percent. The other major Democrat, Ryan Torrens, was favored by 11 percent. In every race on the ballot that has partisan competition, Republicans took the top spot in the Sanford Chamber’s straw poll, typical of chambers of commerce polls. Republican Gov. Rick Scott was the pick in Florida’s U.S. Senate race of 54 percent of the participants, with Democratic U.S. Sen. Bill Nelson winning over 40 percent. 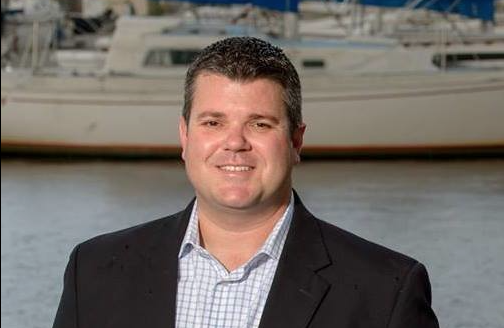 Republican Chief Financial Officer Jimmy Patronis got 62 percent of the votes for his bid to stay in office, while Democratic challenger former state Sen. Jeremy Ring got 38 percent. 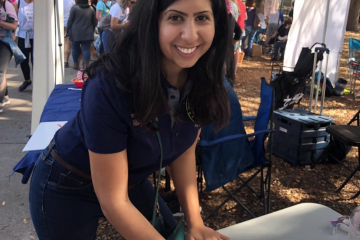 Republican State Rep. Matt Caldwell topped the straw poll in the race for Florida Agriculture Commissioner, favored by 32 percent; followed by Democrat Nikki Fried, 20 percent; and state Sen. Denise Grimsley, 15. Republican David Smith was the top choice to succeed outgoing Republican state Rep. Jason Brodeur in House District 28, topping Democrat Lee Mangold 64-36. Republican state Rep. Scott Plakon got 55 percent in his re-election bid, while his Democratic challengers Tracey Kagan and Darryl Block got 28 and 17 percent, respectively. Republican state Rep. Bob Cortes got 61 percent for his re-election bid, while his Democratic challengers Joy Goff-Marcil, Brendan Ramirez, and Clark Anderson took 14, 14, and 11 respectively.